But even though I know its about the process, it really hit home yesterday when we had a site visit from Brandon Davidson, a High Tech High teacher serving as an internship liaison. I began the visit by sharing how this internship is very different from the one last year which focused on media. I described how during our initial meeting in December, it became apparent that the new intern, Nicholas Harding, had a passion for writing (narrative and creative) at a level similar to our last intern's passion for visual expression. During this initial meeting, Nicholas and I decided that this year's internship project would be writing and creating a multimedia/hypermedia story with multiple story lines to give the reader choice. Nicholas decided to explore the idea of fairy tales in his specific story. As I described in an earlier post, I share that I was excited to have an opportunity to witness/facilitate the process of building such a large project firsthand, since as a trainer of teachers, I don't often get this process experience. But how much more useful the "process" is for learning really hit home as Nicholas shared his project. I have been reading the story as Nicholas writes, and as he was talking ABOUT the story, it really became obvious that simply reading the final story wasn't really going to tell us much about what was going on in Nicholas's mind as he was developing plot, storyline, and writing dialogue. Yes, there have been discussions along the way, and the notebooks and plot diagrams he has created do help see this thinking process, but not nearly as much as listening to him share his work during this site visit. We started talking more about story structure and happened to discuss the Hero's Journey and how this story follows and doesn't follow that structure. 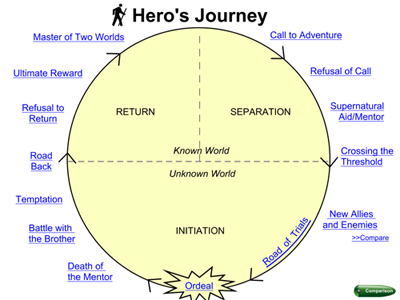 Luck would have it that there is a Hero's Journey template in Share, so we opened that and started talking. Brandon suggested he use to help the rest of us see his learning and thinking during the final "Presentation of Learning", or POL, at the end of the internship. Again, my experience with PBL has led me to understand that the end of every great PBL experience is a presentation, and that this presentation isn't just showing the product or artifacts created, but the sharing (and in many cases drawing out) of the learning is a crucial part of the process, and the assessment process. While reflection is an important part of the learning process, too often I have simply been asking for an oral explanation of what content, thinking, and "soft" skills a student feels they have made progress on during a project. But in this case, with edits, there may be a more structured way to gain specific insight into a student's thinking. 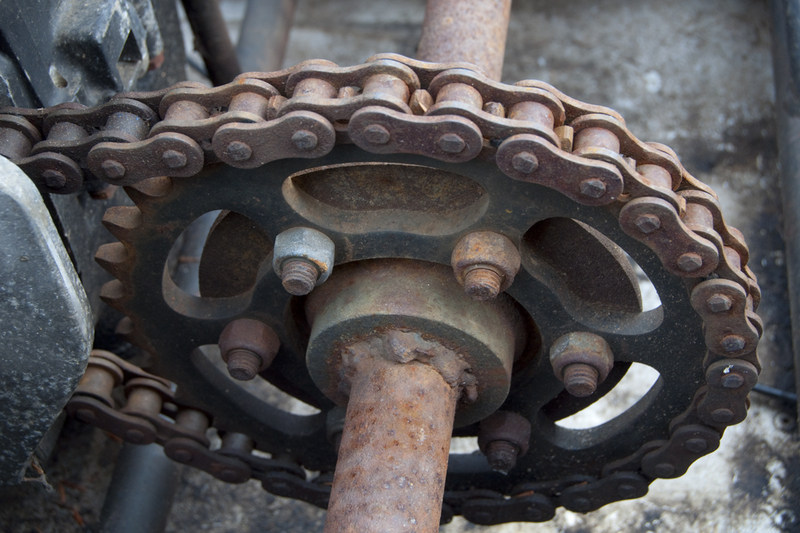 While too much structure can make things rote and boring, many students need more guidance as they learn to share the process of learning along with the final product. I will definitely be looking at more ways I can provide structured ideas to support reflection, metacognition, and the presentation of learning.